The past 2015 was unquestionably a big Hollywood movie year with 4 top 2015 movies (Jurassic World, Furious 7, Avengers 2 and Minions), each grossing more than 1 billion box office worldwide, according to Box Office Mojo. Does this mean such an admirable achievement makes it a challenge for the upcoming 2016 to break the record? Check the following list of best Hollywood movies 2016 that may rule the box office 2016 before making the conclusion. DC comic cannot resist anymore and finally announces the release of Dawn of Justice after seeing Marvel universe hitting a sensational success with its superheroes. The new movie is the follow-up to 2013's Man of Steel and tells about superman, in confidence crisis, going head-to-head with batman starring Ben Affleck. 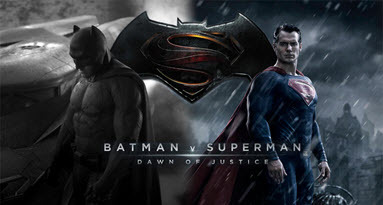 Whether the new movie is Warner's big motivation to connect DC comics or set pavement for the Justice League, it is absolutely one of the most expected movies of 2016. If you are looking for the best Hollywood superhero movies 2016, why not adding it to your watch list. You can free download 2016 best Hollywood movie trailers, 1080p/720 HD movies, soundtracks or clips from YouTube, Facebook, Dailymotion, Vimeo, etc at one click with the aid of MacX YouTube Downloader. No virus, spyware or malware at all! 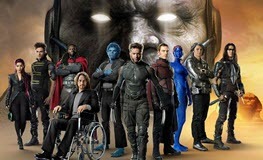 It is said Jennifer Lawrence will quit playing mutant after the 2016 X-Men film, which makes the new Hollywood movie even more anticipated, even though the upcoming blockbuster goes back to the old mutants vs villain model. If you are expecting something from the villain who makes enough trouble rather than watching how the superheroes saves the human, the upcoming Hollywood movie 2016 will be the best one for you. The Marvel CEO proves that Capitan America: Civil War will take the lead in the third phase of the MCU, making Marvel fans expecting something more from the new film. Of course, the return of spider-man makes the new Hollywood movie 2016 even better. 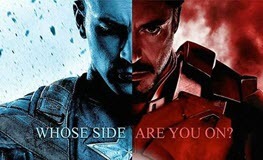 This movie focuses on the confliction between the former allies Captain America and Iron Man, due to the political interference. It takes the third position in the best Hollywood movies 2016 list. 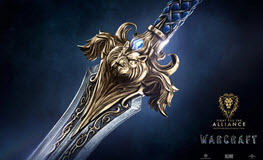 Duncan Jones, known for directing the Sci-Fi film Moon, is confirmed to direct Warcraft with 2-year-long post-production, making one of the highest standard Hollywood movies in 2016 we expect most and is for sure box office dynamite. This time, the director puts emphasis on the confliction between Horde and Alliance in this videogame-based movie warcraft, featuring characters like Durotan and Lothar. According to Wikipedia, there are altogether 25 animated feature films released in 2016, 2 movies (Capitan America: Civil War from Marvel Cinematic Universe, 14 films by Disney, including Zootopia, The Jungle Book, Finding Dory, etc, as well as other noteworthy movies to be released. Just follow the list below and check the most-expected ones in the best Hollywood movies year 2016. Any reason not expecting animated movies from Pixar? Of course not. 10 years after Finding Nemo, Finding Dory comes back, with the leading role changing from a timid clownfish to the forgetful Dory who reunites her loved ones. The new Hollywood movie is scheduled to be released on June 17 and features the voices of Ellen DeGeneres as Dory, Diane Keaton and Eugene Levy. Different from other superheroes in Marvel Cinematic Universe, Deadpool doesn't need to save the world and looks to be more funny. If you've watched the trailer on YouTube, you may notice that Deadpool is talkative but relentless while killing, thus millions of movie fans show their interests and would like to join the hilarious film in their best Hollywood movies 2016 list. There seems to be many new Hollywood movies in 2016 based on videogames, with Warcraft as the leading one and The Angry Birds Movie as another big one. Though plot about the upcoming film is unknown, movie fans still expect it as it is confirmed that Disney veteran Fergal Reilly and Clay Kaytis are co-directing, along with voice talents Peter Dinklage, Jason Sudeikis, Josh Gad, etc. So it is considered as the 7th best Hollywood animated movies in 2016. To move out of the way of Star Wars: The Force Awakens and get it a better chance of box office gold, Kung Fu Panda 3 , originally scheduled to be released in Dec 2015, will finally put on screen on Jan 29. Since the first two installments are bit hit in Hollywood history, the new sequel will be for sure one of the most-expected animated action comedy films in 2016. It is mainly about Po who must face two hugely epic and difficult threats. The Ice Age is the evergreen of Twentieth Century Fox Animation. When it comes to the fifth installment, we can almost guest the synopsis and characters. What we expect most is that Collision Course will no longer rest on its laurels. Any new character infusion and freshness will make it one of the best Hollywood movies 2016. Just like 2015 summer, 2016 is also brimming with big summer movies, with Suicide Squad as the starting blockbuster in Aug. As the third installment in the DC Universe, Suicide Squad will definitely rule the 2016 box office. It depicts a story of a secret government agency recruiting imprisoned supervillains to execute dangerous black ops missions in exchange for clemency. Online streaming is a common source of entertainment for many movie buffs. But if you cannot bear with waiting the screen to load or buffer, you can download the top 10 Hollywood movies 2016 instead. MacX Video Converter Pro is rated as the ultimate tool for 2016 Halloween movies/trailers/soundtracks download. You can even convert the downloaded movies for playing on iPhone (Xs), iPad (Pro), Samsung (Galaxy S9), HTC, PS4, 4K TV, etc. Step 1: Click the download button below to download and install the movie downloader on your Windows (10) or Mac (macOS Mojave). Then once the program is open, you can hit the "YouTube" button on the main interface and tap the "URL +" button. Step 2: Go to an online video service like YouTube, search for the movie and copy the URL. Then Paste it into the box. Hit "analyze" button, after which you can choose the detailed format, codec, resolution and size from the pop-up window. Step 3: Once you load the movie information, you can tap "Download Now" button to start the 2016 Hollywood movie trailer download task. Note: Please check Auto add to convert list in case you need to play the downloaded movie on more mobile devices. It's almost the end of 2016, and most of the best Holloywood movies 2016 have already been unveiled on the theater. Now you can find them on the new releases on DVD. It simultaneously means that you can also rip Hollywood DVD 2016 to iPhone iPad Android, etc. movies DVD for watching, besides free downloading Hollywood movies online. MacX DVD Ripper Pro is rated as an ideal DVD ripper for Mac to convert Hollywood, Bollywood, Disney to iPhone iPad Android in whatever formats. It is also proficient in ripping any DVD to MP4, MOV, MKV, AVI, FLV etc., supporting any DVD protections. Step 1. At the very beginning, free download the DVD ripper and launch it. Then load your desired Hollywood movies DVD by clicking "DVD Disc" icon. Step 2. Choose the output format from the pop up window. MP4 is highly recommended for its wide compatibility of Mac/Windows, iPhone iPad Android devices. Or you can also choose the specific mobile device. Step 3. Specify the output folder path by click "Browse" button. Step 4. Press "RUN" button to start ripping 2016 best Hollywood movies DVD to MP4.